TheGravitational field is the space around the planet up to where the effect of gravity can be felt. They are the points which border the space with the gravitational field.Neutral points are those points in the space at where the gravitational field intensity is zero.The artificial satellites which have launched from the earth generally revolve around the neutral points. Gravitational field is the space around the planet up to where the effect of gravity can be felt. When a unit mass experience a force within a gravitational field then, the force is called gravitational field intensity. The place which is the border between the gravitational field and space is called neutral point. What is the gravitational field? On which factor it depends? The space around a planet where the gravity of the planet has its influence on an object is gravitational field. The gravitational field depends on the mass of the planet. What is the gravitational field intensity of the planet or a satellite? What is its unit? 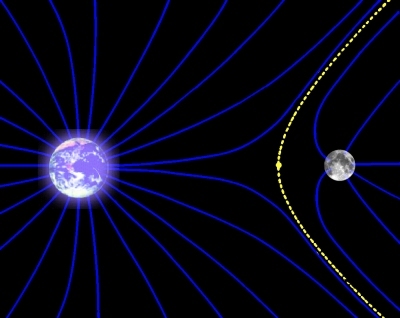 The gravitational field intensity of the planet or a satellite is defined as the gravity that applies to an object of unit mass at a point within its gravitational field. Gravitational field intensity is measured in N/Kg unit. Thus, the gravitational field intensity of the earth will increase by about 14 times, if it is squeezed to the size of the moon. The space around a planet where the gravity of the planet has its influence on an object is the gravitational field. What is gravitational field intensity? The gravitational field intensity at a point in a gravitational field is defined as force experienced by unit mass placed at that point. Which of the following formula is correct to calculate gravitational field intensity? What is the unit of Gravitational field intensity? Gravitional field is defined as _______. The point experienced in a feely falling body due to the force of gravity. The space aound object over which it can experience gravity. The space around a mass over which it can exert gravitational force on other masses. The point experienced by unit mass placed at that point. Any Questions on 'Gravitational Field '?